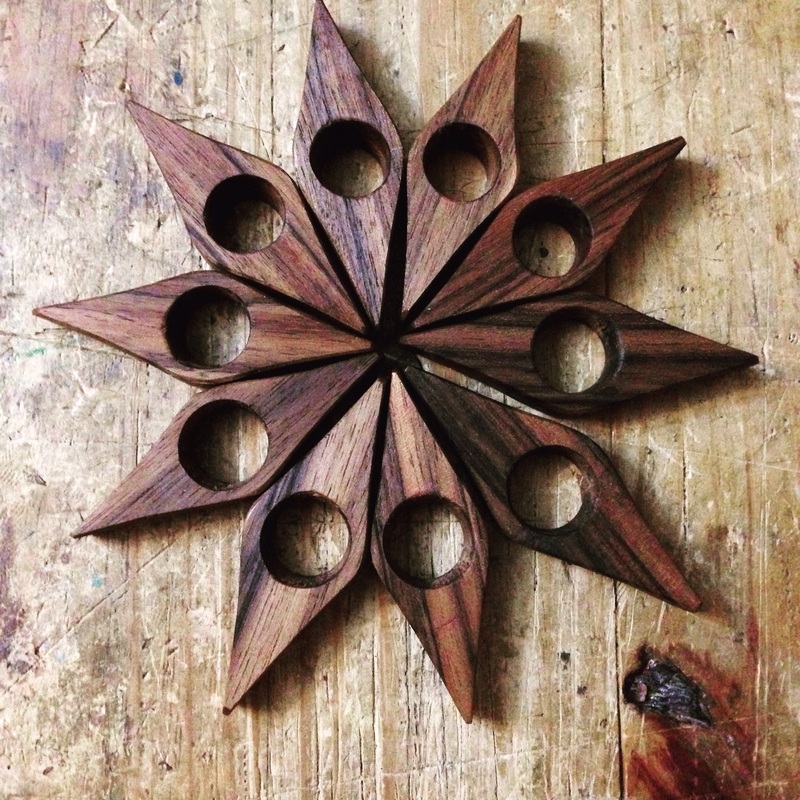 If you’re a reader and a woodworker, you’ve probably seen pictures of them on social media. You don’t know what they’re called, but your book-loving friends probably want you to make them some. I’ve heard them called by several names: “book buddy,” “book bridge,” “thumb-ring-b00k-page-holder,” or some other combination thereof. They come in a number of different shapes and a few different sizes, but the idea is always the same: a wooden ring with “wings” slips onto your thumb, allowing you to hold open the pages of a book (usually a thick, new paperback) with less strain on your hand and forearm. These objects are small and simple. They should be easy to make, right? Making one that works is not difficult. Making one that’s comfortable and works well is a little more challenging. Here’s how I do it. The overall dimensions of your page holder can vary. Something between 2 1/2″ and 3″ long is about right. Your stock should be about 1/2″ thick. Many woods will do, but I’d recommend something relatively easy to work, such as walnut or beech. There’s not a whole lot of room for error on a piece this small. If your wood has some interesting color variation, all the better. I used some claro walnut I had on hand. You can get a lot of these things out of a single board, especially if you’re careful with layout. 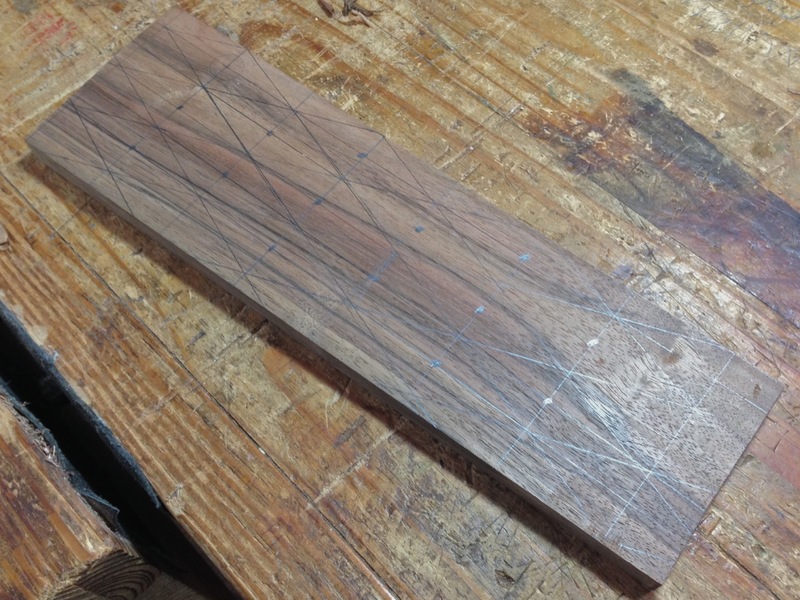 I joint one edge of the board and use a sliding T-bevel, a ruler, and a pencil gauge to lay these out. A pair of dividers might help, too. I don’t know what the angles are. I just played around with a couple prototypes until I got something that looked and felt right. I set my T-bevel to that angle and saved the setting on a story-stick. The first operation is to bore the holes. Thumbs come in different sizes, but I find that most people like one of two sizes: large and small. So I bore some with a 5/8″ Forsner bit and others with a 3/4″ Forsner bit. Then I take the board to the bandsaw and cut out the pieces. The next operation is to ream out the thumb hole. If you look at your own thumb long enough, you may notice that it tapers toward its tip. So I’ve found that the most comfortable shaped hole is also tapered. I use a taper reamer that fits into a brace. It leaves a somewhat rough surface, but it’s all I have at the moment. Now I go to work on the outside surfaces. The faces of the wood are already pretty smooth since I planed them down before I laid out the shapes. I use a block plane to remove a few of the saw marks, and then I use a chisel to slightly hollow out each outside facet. I suppose a half-round file or even a spindle sander could be helpful here. But you use what you have at hand. 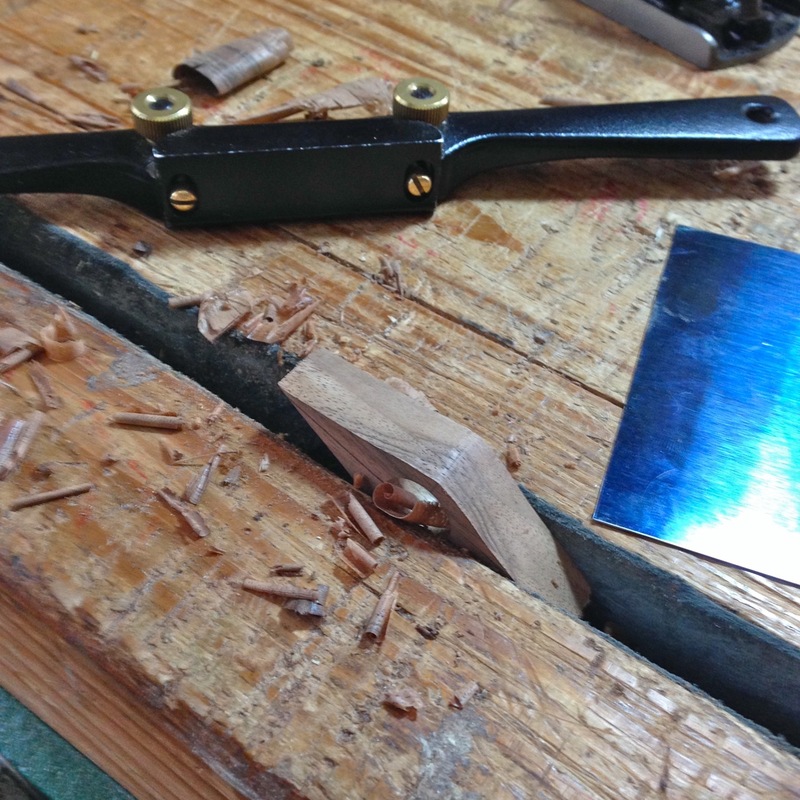 The chisel creates a slight hollow that the spokeshave will then ride down into. My low-angle spokeshave is very helpful here because I’m working all end-grain. 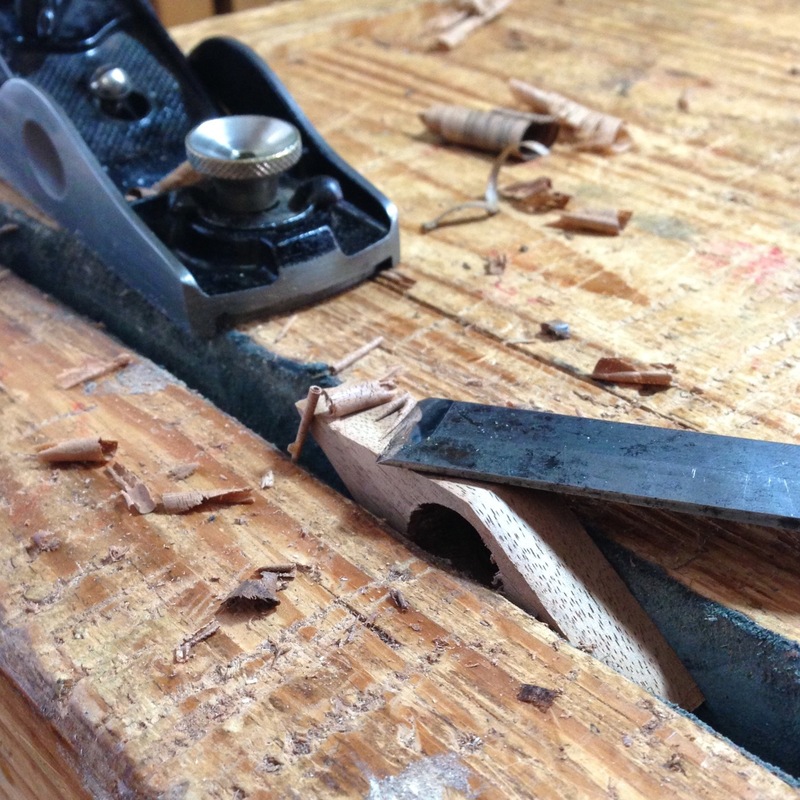 That, and I’ll make any excuse to use a spokeshave. It’s one of my favorite tools. I finish up with a stiff card scraper, and then relieve all the sharp edges, inside and out. A good dunking in Danish oil is all that’s required for a finish. I can make a dozen or so in a couple hours, and they sell pretty well at the craft shows. I price them at $5 apiece. 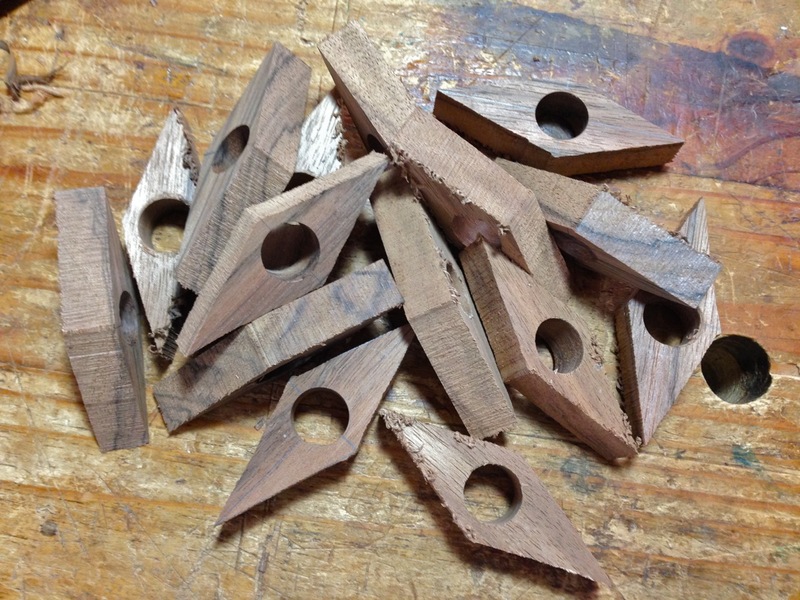 If you’re a woodworker looking to make a bit of extra cash, these are a good project. 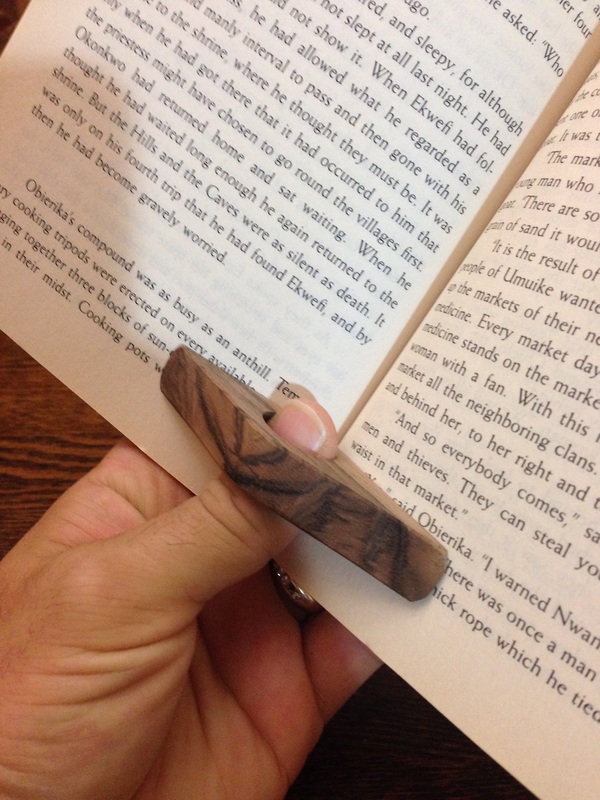 If you’re a reader looking for a thumb-ring-page-holder, then support a local woodworker. You can find many of these on Etsy or other similar online shops. And of course, I’d be happy to sell you one, too. Just e-mail me at the address on the “About” page. 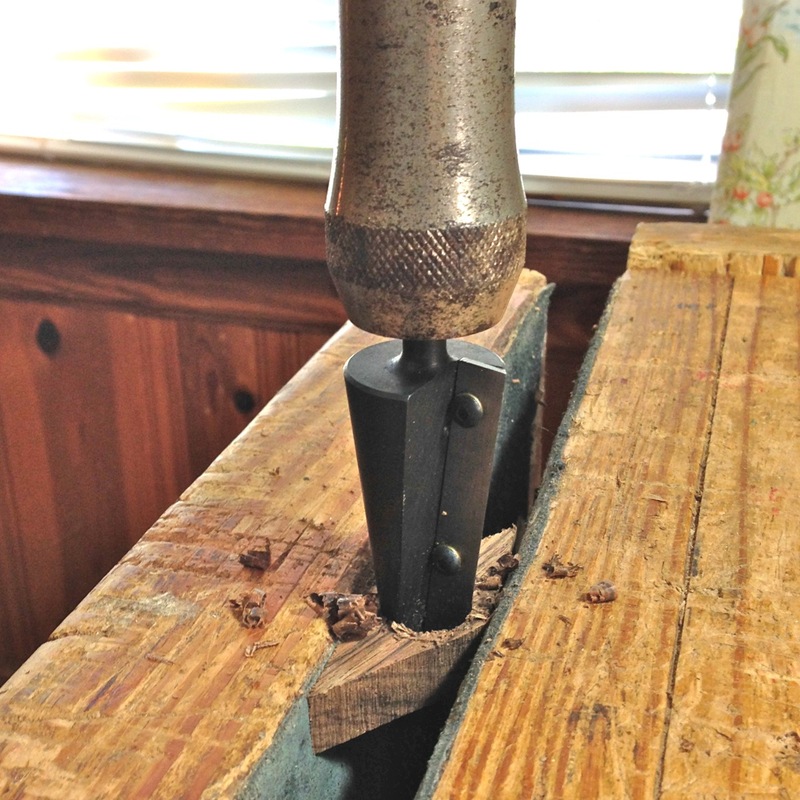 This entry was posted in Build-Alongs, handicraft, Wood and Woodwork, Woodworking Literature and tagged book, book bridge, book buddy, books, literature, page holder, reading, reamer, spokeshave, thumb ring, walnut. Bookmark the permalink.